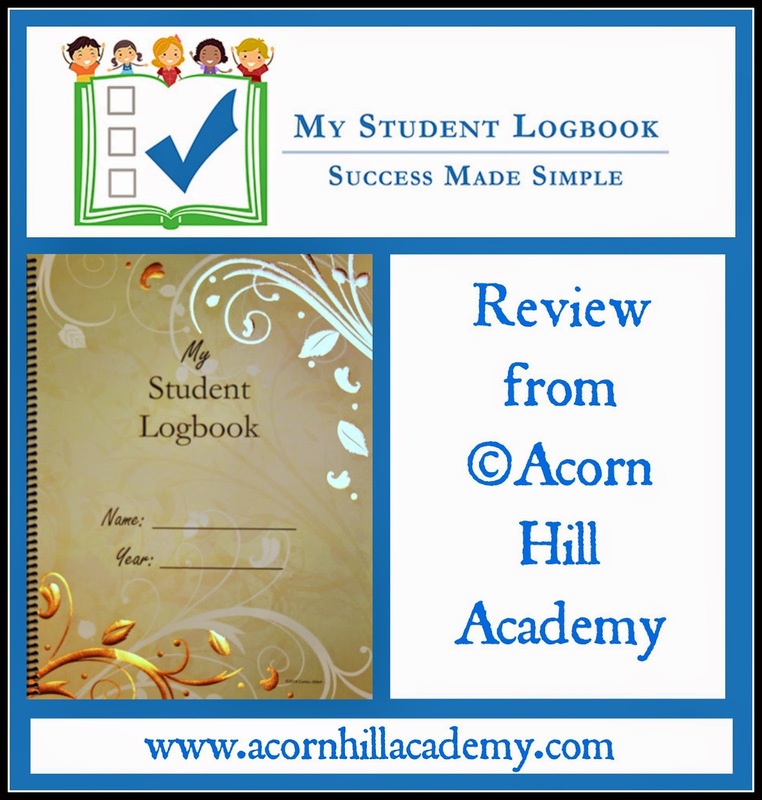 I was pleased to have the opportunity to review My Student Logbook as part of the Schoolhouse Review Crew. 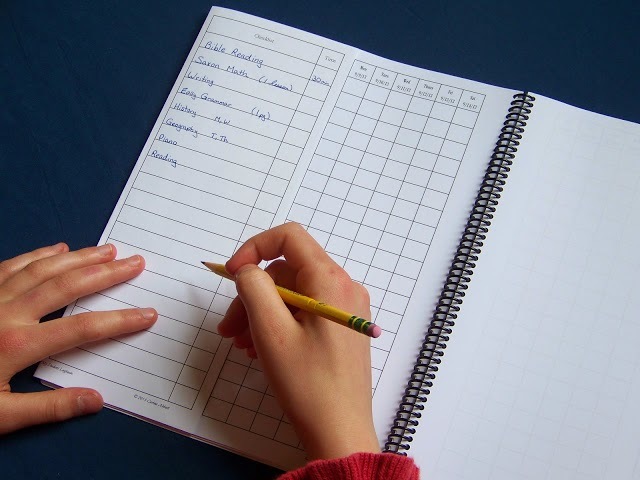 My Student Logbook was created out of necessity by Corina Abbott, a fellow homeschooling mom, as a way to keep track of the work her students were doing. She’d read about creating something similar using a notebook with pencil, but just couldn’t make it work. Instead, she created her own forms on the computer, and My Student Logbook was born. It's intended for students in about 2nd grade on up; they should be reading independently to have it work well for them. We received one printed copy of an undated My Student Logbook with the Golden Vines cover. They have several different cover options, and this happened to be the one I liked for my 14 year old girl. It’s a coil-bound planner with a plastic cover. There are 6 checklist sheets, and 53 weekly calendar pages. There are boxes for all 7 days of the week (we do work on the weekends occasionally). If you need more checklists, you have permission to copy them. Setup is easy. Take a look at this page for video and photo instructions. When I set the logbook up for my 9th grader, I wrote her assignments on the checklist, then taped it into the book. I wrote on there how many times per week she should work on a given subject (Algebra x 5, etc.). There is a box on the checklist for how much time they should spend, too, so if math is a 45 minute lesson, I would write that in the box. Assuming it’s good for more than one week at a time, she just flips a new page over for each new week. She marks off her completed work in the check boxes. There is a space for notes underneath where the checklist sits, if I have additional instructions or if she wants to write anything down. At first glance, I wasn't sure I'd be able to use this. As Charlotte Mason homeschoolers, we have more than 20 subjects we cover in a week. Additionally, we’re reading several books in some subjects, like biology, and it’s not a “do the next thing” situation; I have broken all the books out into page number assignments. I thought I was going to have to make a new checklist for every week. When I emailed Corina, she was so helpful! She suggested that I simply record the names of the subjects, and then my daughter can use my lesson plan spreadsheets for the specifics. Additionally, I only put subjects my daughter does on her own on the checklist. We do several things together, like picture study, composer study, poetry, etc. and those don’t need to be in their books. I keep track of those subjects. So far, this is working out pretty well. My Student Logbook is been a great layer of accountability for us. My daughter knows she needs to keep up with her school work, and high school is a whole new level. I think the PDF option will work well for us, because (a) I have three children and (b) I can print my lesson plan spreadsheets and make them part of the planner itself, so we wouldn’t have to worry about students misplacing them. This is really not a planner; it's a place to record the work your student is doing. However, the idea behind it is to create a record of completed work students parents can easily create a transcript when they need one. That means less work for you when it comes time for college applications, etc. It's a great tool for homeschool organization. Connect with My Student Logbook on Facebook and YouTube! This sounds like a lovely resource. I'm terrible with my record-keeping. I tend to play catch-up once a month.